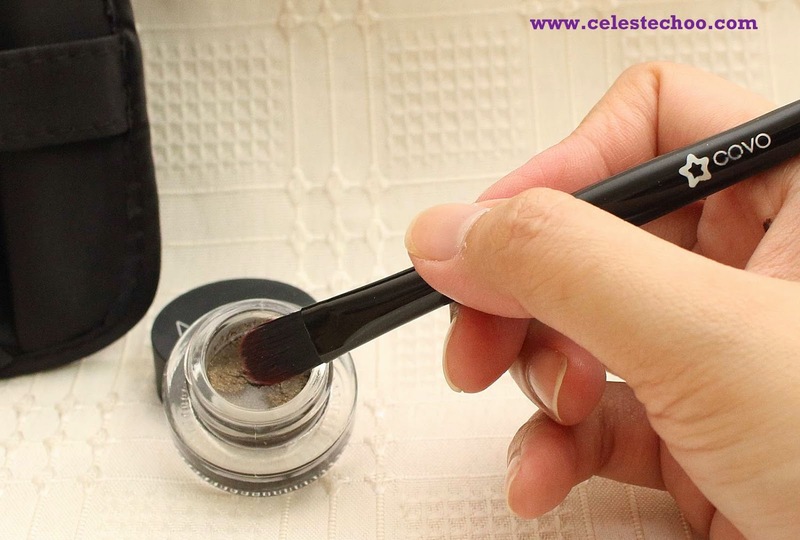 Looking for makeup brushes that are affordable yet perform well? Five years back, I was used to applying my makeup with fingers for foundation, and the basic eyeshadow brushes for eye makeup. Guess I was lazy to explore using makeup brushes before but my desire to create more dramatic looks finally won me over…and spawned an addiction to collect good brushes. 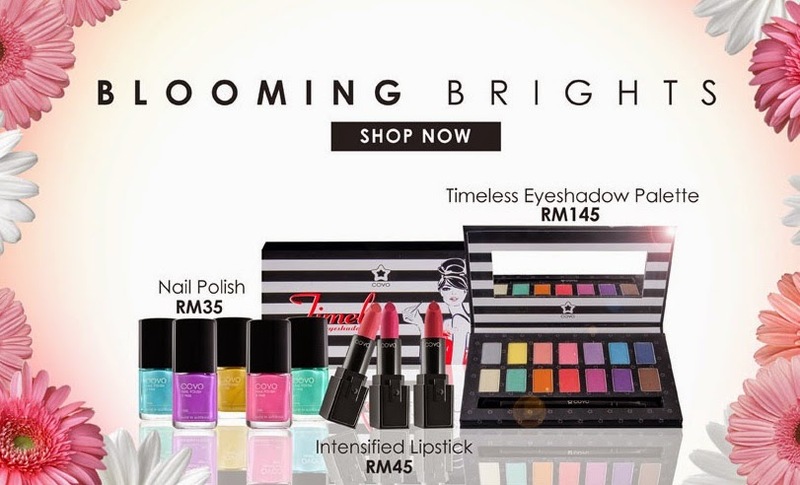 I admit that I am a fan of famous professional makeup brands like MAC and Nars. They have a great selection of brushes and the quality is just superb. These brands have the brush for every makeup application requirement to achieve the look you want. But it wouldn’t hurt to test other brands that are on the lower price range. I did try Ecotools and I must say not bad. And this time around, I’ve tested brushes from Covo Cosmetics, which were a gift from a good colleague for my birthday a few months ago. 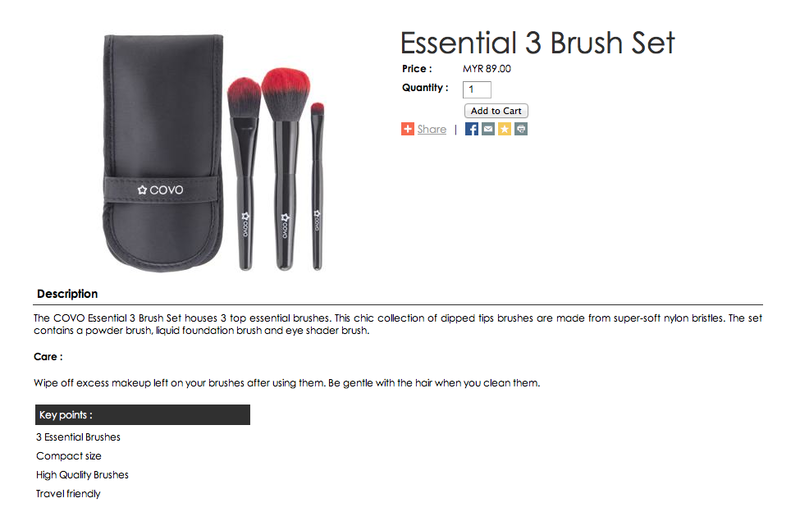 The Covo Cosmetics Essential 3 Brush Set houses 3 top essential brushes. This chic collection of dipped tips brushes are made from super-soft nylon bristles. 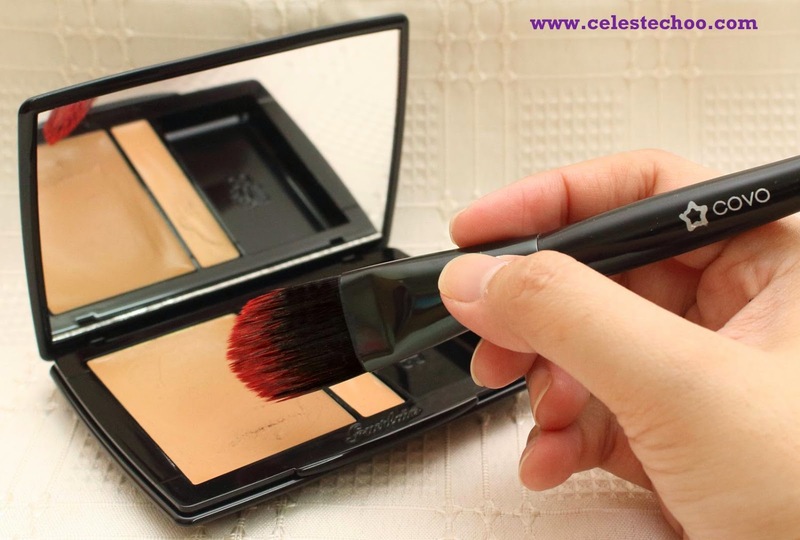 The set contains a powder brush, liquid foundation brush and eye shader brush. This 3-brush set comes with a brush pouch, making it easy to bring to travel or carry with you in the bag. Each brush is packed in plastic when newly purchased. The black pouch has a compartment for each brush, keeping them neatly tucked in its place while travelling. The first brush I tested was the eye shader. I tested it on my favorite Nars eye paint and it worked very well. The bristles were suitable for the cream texture of my eye paint and application was easy. This brush may not be ideal for powder eyeshadows because the bristles are “semi-stiff” but it’s perfect for cream ones. Next I tested was the liquid foundation brush. I tried it on my Guerlain Lingerie de Peau cream foundation and Lancome Teint Miracle liquid foundation. What we, ladies, want from foundation application is that even, flawless look and I gotta say that this Covo brush did the job well. The next question I had was, would it last after regular washing? After using it for 2 months with regular washing, it’s still intact and not a bristle fell. Not bad. Last one was the powder brush foundation. This one is very soft and feels nice on the skin. 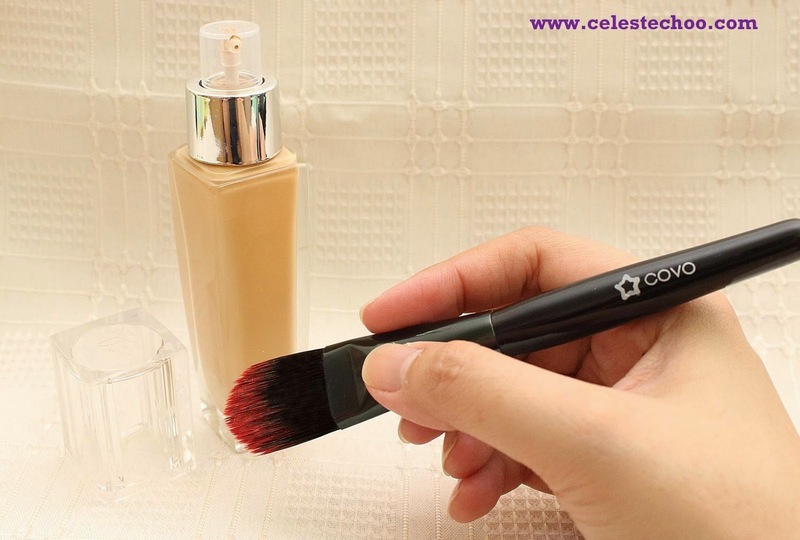 I normally apply liquid or cream foundation then finish it with powder foundation. 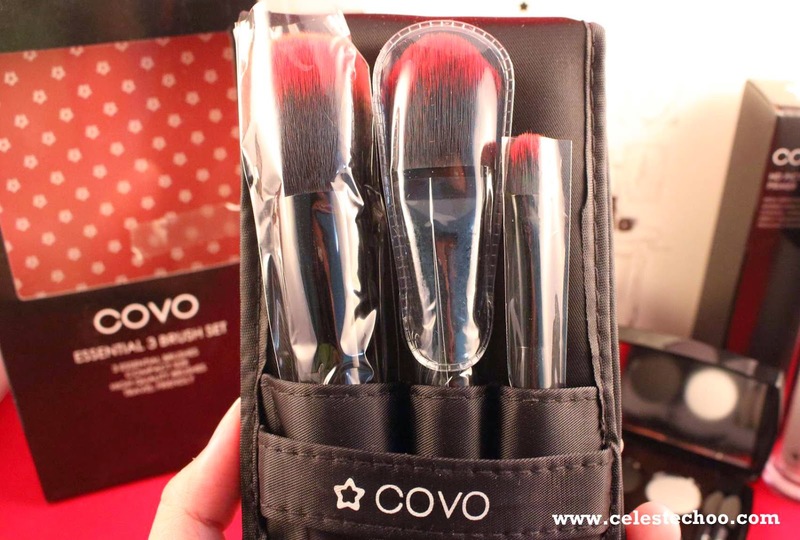 This Covo brush picks up the powder well and application is smooth and flawless. These 3 brushes are a good option if you’re looking for lower price range of makeup brushes. They do the job well and are great makeup accessories. Personally, though, I think the brush handles can be improved for grip comfort and feel. Professional brands have that certain comfort and ease when holding their brushes, which allows me to apply makeup easier and with more confidence. 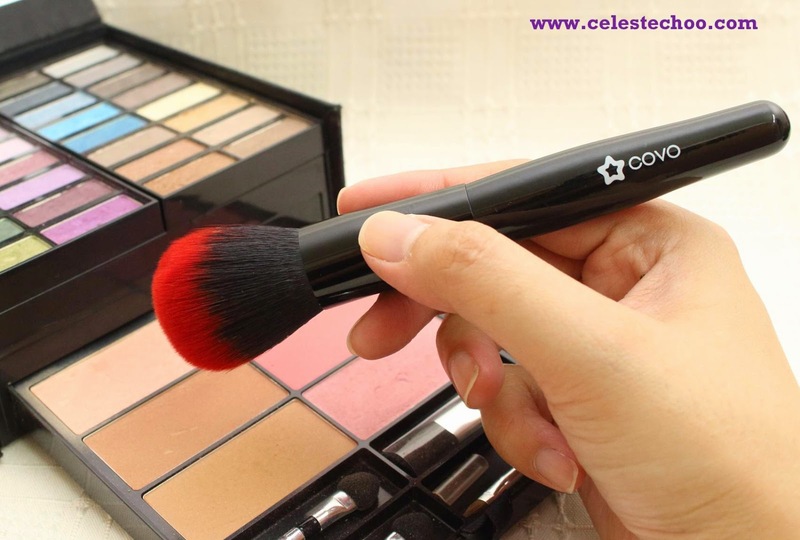 COVO seeks to harness the continuing growth of the COsmetic eVOlution (hence the name COVO) to bring the best in makeup artistry to even the most discerning user without anyone missing out on the total “luxe” shopping experience. COVO puts the focus on the consumer experience whilst the latest technologies are utilized to capture every woman’s beauty needs and nuances. The products are designed to be smartly intuitive and multifunctional to delight the expectations of a COVO woman. The red carpet treatment isn’t sacrificed from the luxury perspective hence COVO’s – Luxe for Less should appeal to one and all!